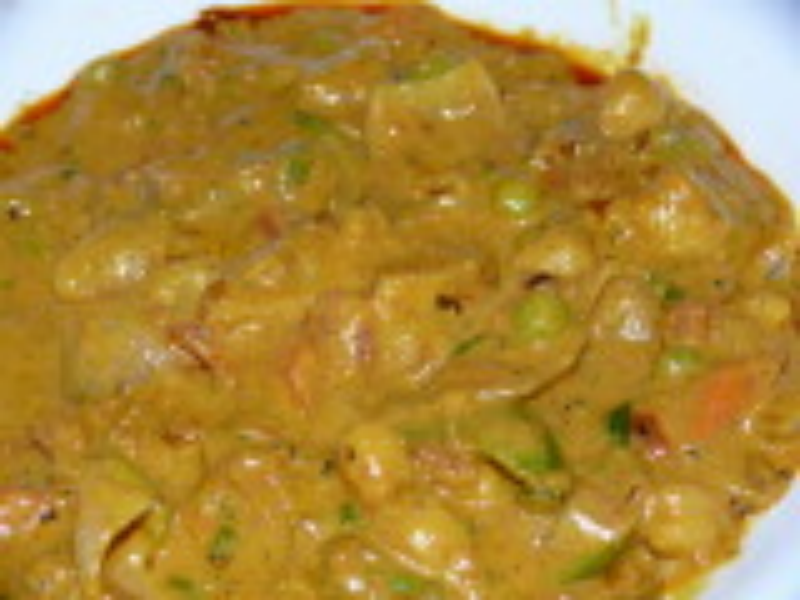 A healthy and delicious vegetables with Masala. cook the above vegetables in 3 cups water with salt(1 tsp) for 5 mins after cleaning. soak the above peas for an hour and cook with 3 cups water with salt(1 tsp) for 10 mins. add the half - cooked vegetables and cooked peas without straining the water. Add garam masala and chopped coriander leaves and yoghurt or cream and stir it for 1-2 mins and remove from the flame . Add 1 tsp olive or pure coconut oil on top. You can serve this hot with rice or Naan, idli, dosa, and chapathis. Very tasty veg-gravy indeed. Very Healthy Vegetable dish . Thank U . Loaded with Vitamins and Minerals .